29 BBC iPlayer tips, tricks and features | What Hi-Fi? "With quality programmes, downloadable shows, and a great interface, BBC iPlayer is the best video on-demand service out there". That's what we said in our five-star review, and we stand by it. In the decade since BBC iPlayer began, it has grown into one of the most popular ways of streaming and catching up on shows in the UK. iPlayer offers a variety of shows, and there are plenty of ways to watch them, across smartphones, tablets, TVs and laptops - and 4K Ultra HD content on iPlayer is in the pipeline. Whether you're a complete newbie to iPlayer, or only use it to catch up on Pointless, here are our favourite tips tricks and features to help you get the most from the service. Originally you could watch all iPlayer content without having an account, but the BBC announced in May 2017 that it soon will require all viewers to sign up and log in to watch any videos. The good news is that it will still be free, and signing up for iPlayer gives you plenty of perks such as tailored recommendations, synced favourites lists and seamless playback across all your devices. You will be asked for your postcode when registering, although the BBC insists it's for delivering relevant local information, and not for tracking whether or not you've paid your licence fee. Previously, you didn't have to pay the licence fee if you only watched on-demand content on iPlayer; you had to pay the annual £145.50 fee only if you were watching programmes live. But from September 2016, you need a valid TV licence to legally watch anything on iPlayer, live or on-demand. Apart from the occasional pop-up message asking if you have a TV licence, there are no checks to make sure you really do have one (but you wouldn't want to be fined either). Your BBC ID also helps the Beeb learn your viewing tastes, and tailor the homepage to display shows you might be interested in. So along with the top 40 most popular shows and new programmes blazoned across the main page, you'll also get blocks of shows recommended just for you. The homepage's grid-like display shows off a mix of everything that iPlayer offers: TV boxsets and returning shows to brand new shows, comedy picks and a long list of David Attenborough nature documentaries. Tap 'Menu' at the top left corner of the app screen, or pull down on the main interface, and you'll find the drop-down navigation menu for all the sections in iPlayer. On the website, this menu is simply a bar at the top of the iPlayer homepage. Here you can access all the BBC channels, the TV guide, refine your programme search by category (or simply type in the show name in the search field), and the My Programmes section - where you'll find your viewing history, bookmarked and downloaded shows. Scroll right to the end of the page (or go to the app's settings), and you'll find an option to change your location to any of the UK regions. You can also change the language from English to Welsh, Irish Gaelic or Scottish Gaelic. Want to see what's on TV right now? Select the TV guide or go to each channel's own mini-page to see what's on the schedule. iPlayer will feature certain popular shows that are happening live - such as a sporting event or the Great British Bake Off final - right at the top of the homepage. Missed the crucial first minutes of Death in Paradise? Watch from the beginning by tapping on the big restart button that pops up after pressing play. You can rewind as far back as two hours, on both the website and app. You can also switch back to the live broadcast by moving the slider on the time bar towards the end. You can only stream content from iPlayer (live or on-demand) if you're in the UK, so download shows before you head off on holiday or on a long flight. You can listen to BBC Radio from anywhere in the world, though. We don't need to tell you that streaming over wi-fi is cheaper and more stable than your mobile data connection. With an hour-long show taking up around 225MB, according to the BBC, streaming over 3G or 4G could get very pricey. Besides, 3G streaming is patchy at best. But if you're one of the lucky ones on unlimited mobile data, 4G is fine when there's no wi-fi available (like on a train). The basics: simply press the big ‘play’ button to start an episode, press again to pause. You can forward or rewind the show by dragging the slider on the time bar. Right under the playback screen, you'll see plenty of useful information - episode blurb, the duration of the programme, when it first aired, how many days longer it's available on iPlayer - and icons for downloading, adding, buying and sharing the current show. Shows will now automatically start playing in HD (high definition) quality. But you can switch to SD (standard definition) if you prefer. BBC's version of HD for laptops and smartphones is 1280 x 720 video resolution (720p for short) - which is closer to what we'd classify as HD Ready. The iPlayer drops the picture down to standard quality definition when there's low bandwidth or patchy wi-fi, so you'll need a robust connection and a decent smartphone, tablet or laptop for the best HD picture quality. On your smartphone, iPlayer will automatically take up the whole screen when you press play (it orientates itself to landscape, too). On the website, click the square icon in the bottom right corner of the playback screen to go full screen. Press “esc” on your keyboard to exit the fullscreen mode. If you use an Apple MacBook or an iPad running on the latest macOS Sierra/iOS 9 software, iPlayer offers a picture-in-picture option. The small pop-out window will always be in corners, but you can resize the window - perfect for keeping an eye on the Wimbledon match while continuing to work on those spreadsheets. Look for the "S" icon when a show starts playing. Tap that, and you'll get English subtitles on screen. 15. How long are shows available for? Generally the expiry date for anything on iPlayer is 30 days. Most shows are available for streaming and downloading 30 days after its airing date. Once you’ve downloaded a show, you have 30 days to watch it. There are some exceptions though. Question Time episodes are available for a whole year, while Match of the Day is available for a much shorter time because of various broadcasting rights issues. The iPlayer suggests shows you might like based on your viewing history. 17. I’ve accidentally closed the app/website. Will I lose my place in the episode and have to start again? Nope! You can continue watching where you left off. This is where having a BBC ID account helps. If you’re signed in, it automatically remembers where you paused the show. Head to your viewing history (“watching”), press play on the episode you were watching, and it’ll start from where you left off. You can also resume watching an episode even if you've switched between devices. Sign into your account and iPlayer syncs your progress for everything you’ve been watching across all your devices. This way, you can pause an episode on your smartphone and seamlessly continue watching it on your laptop. 18. Where’s my viewing history? Go to the My Programmes section, and open the "Watching" tab - this is where all your watched shows are listed in chronological order. Here you can resume your current programme, start the next one, see how many episodes are available of that series and so on. Next episodes will be displayed automatically once you’ve finished the current one. On the iPlayer site, click the ‘X’ next to each show to remove it from your list. To clear your entire history, click that option right at the bottom of the Watching page. You can’t delete individual shows on the mobile app; you need to go into settings and clear the entire history. 19. Can I bookmark or save shows to watch later? Tap the "add" icon that pops up for each show, and it goes onto your "Added" list (formerly "Favourites"). This is a great way of saving shows that you want to watch for later. It also lets you keep track of any shows that may be worth a repeat viewing in the future, such as superb BBC Four music documentaries or certain films like Pride. To delete shows from the Added list, simply tap the "remove" button on each show to take it off the list. Order the list alphabetically or chronologically, according to broadcast date, by tapping the two options at the top of the list. BBC Store’s brief stint is over. The digital download store is closed down on 1st November due to low demand and stiff competition from Netflix and Amazon Video. If you have bought any content through the store, BBC is offering a full refund of your entire purchasing history (or the equivalent amount in Amazon vouchers). BBC Store launched two years ago, letting you buy SD and HD digital copies of classic and new BBC programmes. The perk was that while downloads are device-specific and disappear after 30 days, content bought from the BBC Store was synced across all your devices, and you could keep them forever. In the app, pick a TV show and tap on the 'Download' icon - and it will start to download. A status bar will appear to show you the file size, and the time remaining until the download is complete. You can only download shows over wi-fi connection, not 3G or 4G, and it's also worth nothing programmes are specific to the device you download them on to. Downloads don't sync across all your devices. All shows will automatically download in standard definition - it's quicker to download and won't take up too much space on your device. But if you want your saved shows in high definition (720p), go to the app's settings and turn on "Higher Quality Downloads". 23. Where can I find all my downloaded shows? Head to the "Downloads" section in the app's drop-down navigation menu, and you'll find a list of shows downloaded on to your device. You can remove shows by tapping the "edit" button in the top corner, selecting the show and pressing delete. If you don't have wi-fi, you can still queue up shows over 4G and wait until you get internet connection for the downloads to take place. There's a separate tab for all the programmes that you've queued up. Here, you can track their download progress, or tap 'edit' to remove shows if you've changed your mind. Once a show is downloaded, it automatically goes into the Downloaded tab. 24. How long can you watch the downloaded programmes for? All downloaded shows will stay on your device for 30 days, after which they are automatically removed. The status under each programme shows how many days it is available for. You can't download shows directly from the iPlayer website on to your laptop. For that, you'll need the BBC iPlayer Downloads desktop app. It's available free from the website and works roughly in the same way as downloading from within the app. You can record whole series of your favourite programmes on the desktop app. The next available episode will automatically download (provided there's an internet connection). Warning! This will take up a lot of space on your laptop's storage. Want to know when the next episode of Sherlock airs? Click the bell icon at the top of the screen (website only) to be notified of new episodes from your bookmarked programmes. The volume bar on the playback screen goes up to 11 - a homage to the 1984 mockumentary film This Is Spinal Tap. 29. Where can I watch BBC iPlayer? You can get BBC iPlayer on pretty much all of your smart devices - smartphone, tablet, laptop, smart TV, games console, streaming stick/TV - and download the app on to Android and iOS systems. 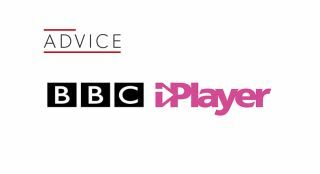 Here’s the full list of all the platforms and devices that support iPlayer.